Silhouette’s bestselling Cameo machine recently got upgraded to an even better and more impressive die cutting machine. We couldn’t help but share our thoughts in a Silhouette Cameo 3 Review. The Silhouette Cameo 3 is similar to the Silhouette Cameo 2, but has some key upgrades and new features which we are incredibly excited about! Some of these features include dual carriages, bluetooth functionality, and an upgrade to the much-anticipated Silhouette Studio 4.0 Software. This nifty machine has the ability to cut over 100+ materials and is our favorite personal vinyl cutting machine in 2018! Watch the short review of the top features in this video below! Additional Reading: Check out our collection of the best Silhouette cameo 3 bundle deals on the Web. One of the best vinyl cutters on the market in 2018. The new Cameo 3 is not only a top personal vinyl cutter, but it is also the preferred vinyl T shirt printing machine for those who operate a small business. As the machine’s cutting force is still lagging, this machine is not suitable to those who wish to cut thicker materials, but for most of us, this machine is simply brilliant. 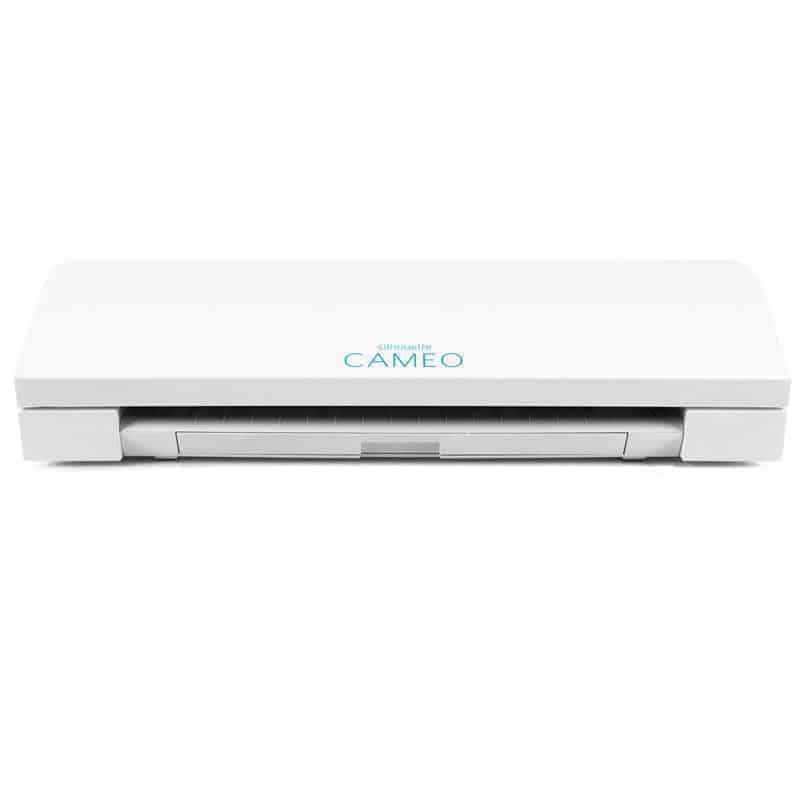 The Cameo 3 is an electronic cutting machine. You can compare it to a size of a printer and comes included with software that will help you to create images that can then be cut out via the vinyl cutter on your choice of material. Not only is it our favorite home vinyl cutter but it is also the best vinyl cutting machine for t-shirts. Below you will find our detailed Silhouette Machine review. I will outline the top features, specs, the pros, and cons of the plotter Silhouette Cameo 3. 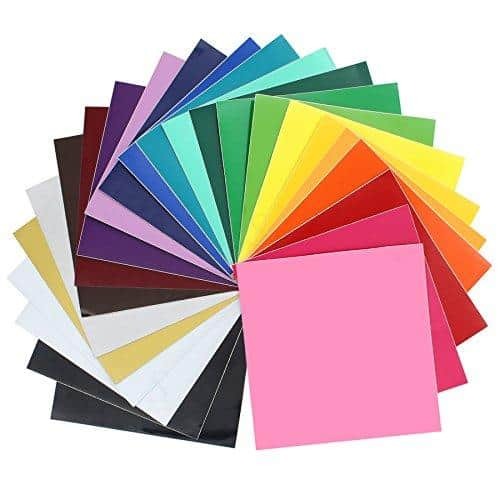 I will also give you suggestions of who this vinyl cutter would be perfect for; in order for you to help figure out if this machine is the right match for you! 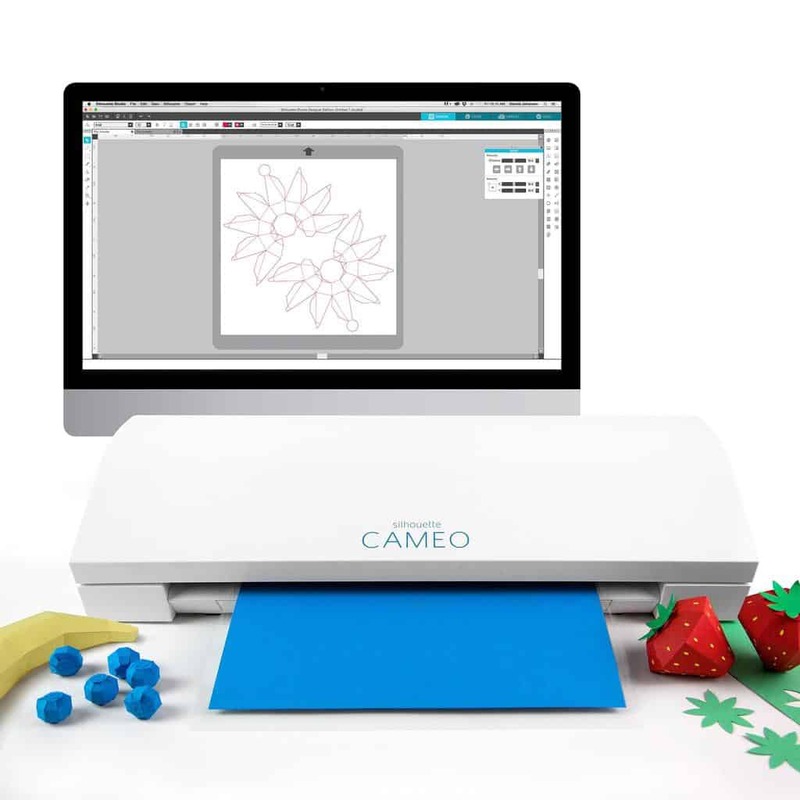 The Cameo 3 has dual carriages, which is brilliant as it means that you can draw and cut your designs at the same time. The handy upgrade of the mechanism to a push locking mechanism is more secure in comparison to the twist mechanism on the other Silhouette machines. The Cameo 3 has kept all the functions that we love so much in the Cameo 2. One of which is the innovative Print and Cut feature. This feature allows the Studio software to send an image to your printer to be printed. Whilst printing the image, you will notice that the printer adds little registration marks in the corners. Once it is printed, you add it to the cutter where the machine will detect the registration marks and know exactly where to cut the printed image out. So clever!! The PixScan is another excellent feature of the Cameo 3. It operates similarly to the Print and Scan, however this time you will place your image on the PixScan cutting mat. The mat itself contains the registration marks. So whilst the image is on the mat, take a picture from your camera or smart phone and upload it to the design studio. In the studio you can create the trace lines and then select to cut the design. The Cameo 3 cutter comes with the inclusion of 3 super handy blades! A great upgrade on the Cameo 3 is the Bluetooth functionality. You can now place your machine wherever you want and have it connect to your computer without a cord! I love not having to share my desk with a machine as well. It can now live on the shelf, out of the way! What can you cut with a Silhouette Cameo? This new Cameo plotter has a cutting force of 210 grams, which means that it is a great machine for those enjoy working with thin-medium thick materials. This machine is not the machine for you if you wish to cut thicker material such as thin sheet metal or balsawood. The Studio software comes with a nifty ‘double cut’ feature, which is great with the thicker materials. However if you work with thick material on a regular basis, we would recommend you check out the Cricut Explore Air 2 instead. In comparison between the Silhouette Cameo 3 vs Explore Air 2, the Cameo cutter really is the best choice if you are after a larger cutting area. This Cameo draw and cut machine is brilliant for both small intricate designs as well as larger signage projects. It can cut up to 12″ wide to a massive 10 feet in length. What Material Thickness can the Cameo Cut? We love the flexibility of the cutting thickness of this machine. The Cameo has a cutting force of 210gf. With the included Cameo blade, you can cut material of up to 1mm thick; whilst with the Deep Cut Blade, you can cut material up to 2 mm in depth. You will need to download the free Cameo Silhouette Software. The software is really great as it allows you to either buy Cameo Silhouette Designs, import images from elsewhere, or create your own designs from scratch. The software is compatible with Windows Vista and higher, and Mac OSX 10.6.8 & higher. The software is really easy to use and you will be able to find plenty of tutorials online if you need some extra help. With the purchase of the machine you will receive 100 free images to use, you will also receive 1 month Basic Subscription to the Silhouette Design Store which gives you $25.00 credits to download any designs you want. Whilst the basic software is free for use, you might choose to upgrade it to either the Designer or Business package. The Cameo is also compatible with other design software, such as Make The Cut, Sure Cuts a Lot, and Inkscape which is great news for those who want to get more serious with this nifty machine! 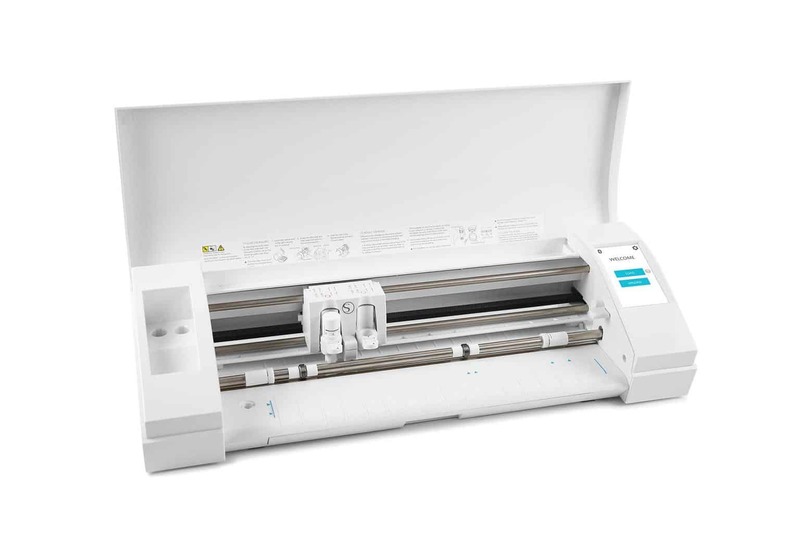 The Silhouette Cameo Machine comes with a 1-year limited warranty (for US and Canada only). Silhouette also offers support as well as helpful information and tips on their blog. My personal choice of preference though is to search for video tutorials of your Silhouette Cameo Cutter on YouTube. You will find tutorials from set-up, to your first vinyl cut to more creative rhinestone T-Shirt transfers. If you are wondering where to buy your Cameo, we highly recommend you purchase it from Amazon. Amazon has a 30-day return policy, so it is a great opportunity to try out the machine and if anything is wrong, it should get sorted ASAP. Prices vary greatly, you can easily compare prices of single machines vs bundle deals by clicking here. You can watch this short video to see how you need to set up your cutter for that first cut! 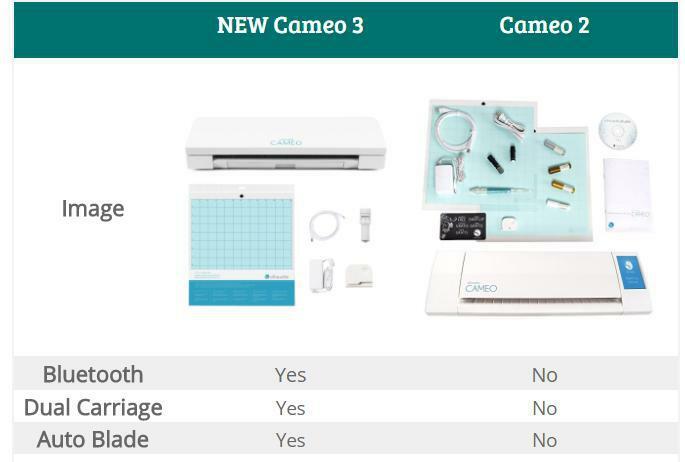 Below is a quick comparison between the Cameo 2 vs Cameo 3. Essentially it is the same machine but the Cameo 3 has the improvement of Bluetooth, Auto Blade and Dual Carriages. All of which is our opinion makes it worthwhile to pay the slightly higher price for the newer Cameo cutting machine model. We also have a post on the Curio vs Cameo 3 for those that in interested in comparing these machines. Below you will find our Silhouette Cutter review; focusing on the pros and cons of this machine together with information on who this machine would be perfect for. We are in-love with the super intuitive Auto-Blade on the new Silhouette Cameo Vinyl Cutter. By using the AutoBlade setting, the blade settings will be automatically calibrated based on what material you told the machine you will be working with! Goodbye to getting frustrated and wasting supplies whilst trying to find the perfect settings!! The dual carriage is a brilliant feature for those who love to draw and cut in one easy step! Box makers will also enjoy this feature as it has the ability to score and cut at the same time too! The Bluetooth! Ah man do I love the Bluetooth! I hate cords everywhere, not only can I pop the machine well out of the way, but I no longer have to try and work amongst all the millions of cords! HOORAY! There are also loads of extra little improvement that aid in making the user experience a much more happy one!! There are now media guides to help you feed cutter. The touchscreen is soooooo much simpler to use now. A super handy roller lock mechanism as well as extra storage areas! Whilst the Cameo Cutter Plotter now has the ability to cut material up to 2mm thick, surprisingly enough they didn’t increase the cutting force from the previous model, so it will still struggle to work with thicker material. 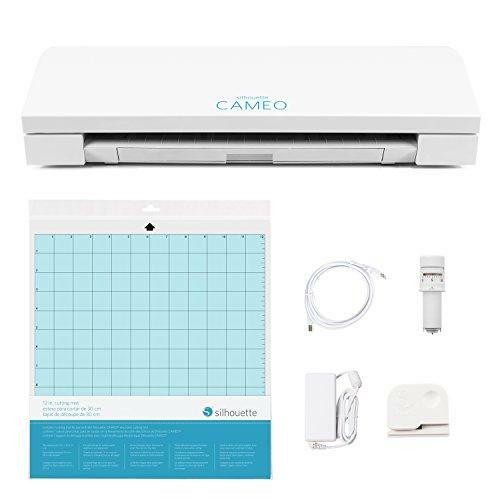 Whilst the Bluetooth technology on the Cameo Silhouette Cutter is a big win, it is a bit disappointing that only those in the US, Canada & EU can enjoy it! This Silhouette Cameo version 3 is top notch machine for those who are after a machine for personal or small business use. The machine works well for beginners as well as for the experienced vinyl cutters. A small but powerful and intuitive machine that will help you create your designs time and time again! This machine is much loved by a large variety of crafters, from card makers and scrapbookers to sign makers. Quilters and home decor fans favor this machine as well as those who want to invest in a great machine for t-shirt transfers. The only reason this machine might not be for you is if you love working with thicker materials. We honestly feel that the Cameo 3 is the best Silhouette machine to buy. You can click here to find the current best deals on the Cameo 3. If you are after some great bundle deals to save you money, please scroll down to our deals and accessories below! Bundle deals are always excellent for those who are purchasing their first vinyl machine. This deal is guaranteed to save you lots of money and it makes it super easy for you to simply set up your machine, grab your vinyl from the kit and get cutting! In this deal you get all the bits and pieces that comes in the box plus extra goodies such as 24 Sheets of Permanent Oracal 651 Vinyl (12″ x 12″), assorted mix of 24 Sketch Pens, Extra tools, Vinyl Instructional Guide by Silhouette School, 1 Roll 12 Inch x 6 Feet of Premium Transfer Tape & More. >>>> CHECK OUT THIS DEAL ON AMAZON NOW! When you invest so much money in a machine, it only makes sense to buy accessories that will protect it and allow it to last for longer! This dust cover will keep your machine clean and protect it from any scratches as well. A worthy investment. Available in grey, pink or blue! >>>> CHECK THE PRICE ON AMAZON NOW! 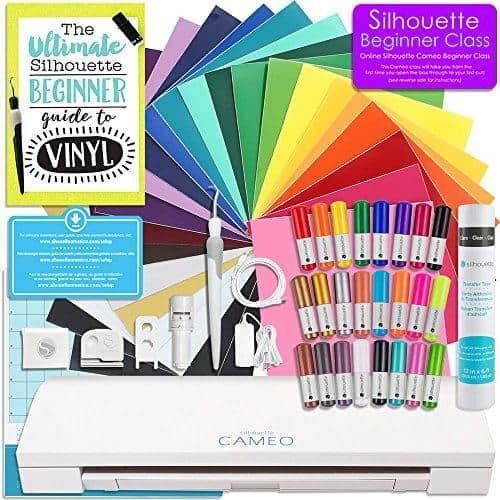 If you are after vinyl for your Silhouette Cameo, we cannot recommend this great vinyl bundle highly enough! 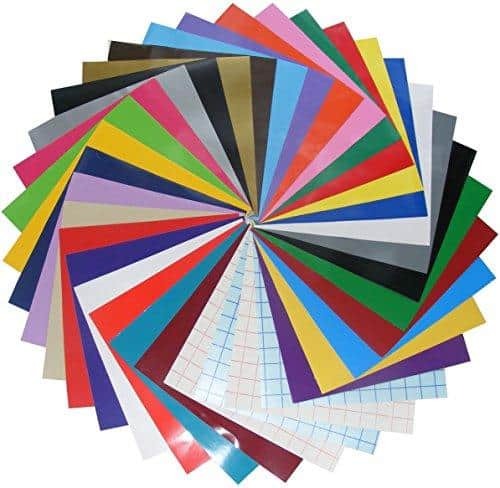 This bundle includes 36, 12 x 12″ sheets of high-quality vinyl. >>> CHECK THE PRICE ON AMAZON NOW! Did you find our Cameo machine review helpful? Did you end up purchasing a Cameo 3?